Each year University of Washington Tacoma invites faculty to present on their research and I was fortunate to be asked to participate in this year’s Lightening Talk. These are very short presentations (5 minutes!) with timed slides. 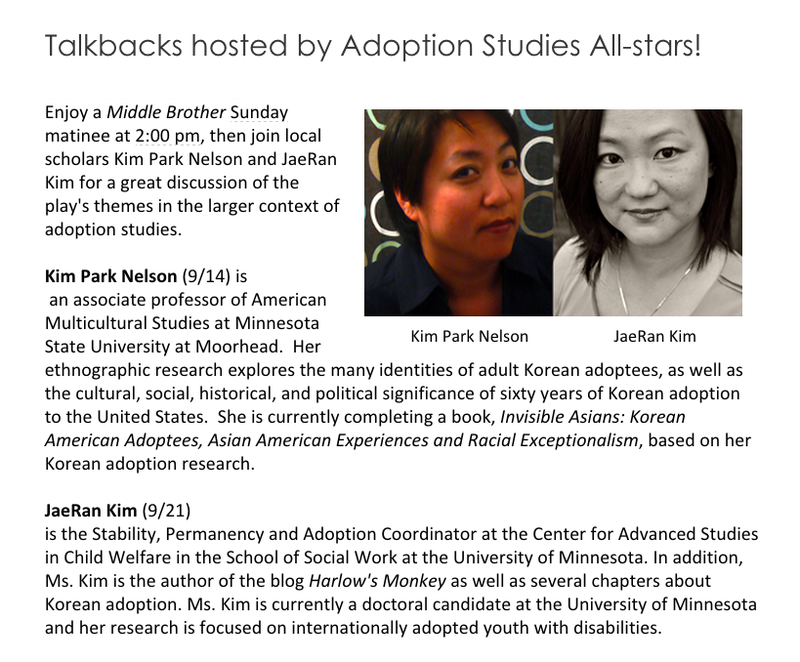 It was challenging to condense a research study into 20 slides in five minutes, but here is a video of my presentation, highlighting the findings of our study on Korean adoptee parenting. For more information about this study, please click here. Hi everyone, and happy holidays! I just popped in to let you know that I was quoted in an article by Religious News Service about evangelical Christians adopting transracially and the work that needs to be done in terms of honest conversations in the church about race. You can read it here: “How adoption has forced evangelicals to grapple with race relations” by Sarah Pulliam Bailey. Join me September 21, 2014 for a post-show discussion after Eric Sharp’s Middle Brother performance. The plan was so simple. 3.) Live and work in the homeland for the first time in 22 years. But only days away from moving back to the Midwest, Billy is unexpectedly reunited with his Korean birth brother and must somehow reconcile his modern American life with his newfound Korean past. Written by and starring longtime Mu performer Eric Sharp (Yellow Fever, Into the Woods, Ching Chong Chinaman), Middle Brotherexpands Mu’s body of work exploring the Korean adoptee experience. Director Robert Rosen (Theatre de la Jeune Lune) helms this imaginative world premiere with his signature physical theatre style. I wanted to share the first official written article related to my dissertation study for the National Resource Center Adoption (NRCFA) publication, The Roundtable. My article is on page 12, titled Internationally Adopted Children with Disabilities in Out-of-Home Care: Emerging Research on Adoptive Parent Perspectives. You can download the article here. Here in the upper Midwest we are experiencing the Coldpocalypse. -21 degrees as I type, with -40 windchills throughout much of my state. I am feeling incredibly fortunate to have a warm house with heat, food in my fridge and an employer who told me to work from home today. I am also fortunate to have friends and fellow adoptee professionals such as Deborah Jiang Stein, author of two incredible books (Even Tough Girls Wear Tutus and the upcoming Prison Baby) with whom I can have invigorating conversations. Deborah invited me to have one such conversation about adoption themes in literature. Please read it at her blog here. While I don’t believe in making “resolutions” I DO hope that 2014 sees more blogging here. I really miss it. And despite what is likely my most busy semester in the last decade coming up here, there are a lot of exciting things happening in my world that I hope to have time to share. So Happy New Years to all! As the authors of the book “Parenting as Adoptees” have shown, adult transracial international adoptees from different countries have a huge amount in common. Adoptees from South Korea, Vietnam, India, and Colombia, all of whom were part of “Parenting as Adoptees,” will lead a wide-ranging, adult adoptees-only, discussion. Asian American authors provide windows to the social history that has shaped the perceptions of a “model minority” and the pervasive stereotypes and racist attitudes that are part of today’s American experience. This discussion group will use themes presented in books by popular authors as pathways to understanding Asian American culture today. The interview with MPR about the contested adoption case and the MN Supreme Court’s ruling is now available on the MPR site. It was a real honor to be asked to provide some context to the case and although I was very nervous, I hope that I was able to add some additional context and understanding to this very sad case. In the end, two sets of parents had oodles of love and ability to raise these girls;and both of them would be able to meet these girls’ needs. My biggest concern is that family connections will no longer be considered as important as material goods, even though the research has shown that children adopted by relatives fare the best. I am unaware if any research has been done on contested adoptions by foster parents and relatives – what I would want to know is how often race factors in to where children end up. If the grandparents were white and of the same socioeconomic status would the same decision have been made? For a very thorough and in-depth examination of the case and the response by the grandmother, I recommend reading the articles by City Pages journalist Olivia LaVecchia. Tomorrow morning I am scheduled to be a guest on Minnesota Public Radio to discuss the Supreme Court’s ruling in a contested adoption case. The conflict, which was profiled by reporter Olivia LaVecchia for the City Pages in January, centers around the adoption of two little girls. The lower court had ruled in favor of the foster parents that had cared for both of the girls since their births and the grandmother in Missouri who had been trying to adopt them for nearly the same amount of time. The show is scheduled to air at about 11 am. I’ll post a de-brief after the show. I recently had a chat with Keren Riley, blogger at Riley’s in Uganda. Go check it out! I’ve been thinking about this concept a lot in the past few years. I’ve talked about it in terms of something I’ve noticed frequently with adoptive parents who tend to over-compensate for the pain and trauma their child has experienced by attempting to eliminate pain in their children’s lives. One of the things I found most interesting about the story of people who do not feel pain is that some question whether or not these folks that can’t feel pain can also feel empathy or emotional pain. As it turns out, Ashlyn Blocker, the teenager at the center of this article, does cry and does react to others’ pain, even if she can’t describe hurt or pain. Is it true that to experience joy once must feel pain? Is it imperative to have a physical understanding how pain and suffering feels in order to be able to develop empathy? This study on folks with Congenital Insensitivity to Pain (CIP) and empathy found that those with CIP relied on their (what I imagine must have been learned) empathetic skills to imagine others’ pain. In the past I have used the analogy that when we experience “growing pains” both physically and emotionally that it is a time of development and growth; like Joy, I have always subscribed to the idea that to know happiness and to be empathetic, one must have known pain personally. I have told adoptive parents who describe the ways they try to take the pain involved in adoption away that they can only provide a “soft landing” for their child because you can’t take away or prevent pain, and that it’s a normal part of growing as a human being – and further that those who don’t experience “growing pains” don’t “grow.” But this article gave me pause; clearly there are those growing and developing without first-hand experiencing the “pain” associated with growth; however I am still left curious about how pain is defined; and if the brain still reacts to painful stimuli even if it doesn’t tell your nerves to react. How much is empathy a learned concept that can be taught or modeled by parents and how much is it a factor of our own experiences? And in what ways does this impact social work? How schools of social work teach empathy for students who haven’t experienced much personal experience with pain or suffering? On the other hand, how do we help students that have experienced trauma, pain or suffering to be reflective of how their own experiences impact the way their empathy is triggered and/or applied? The joke – or rather, the intuition – was on me, because of course I was right. Unfortunately there are some things you still can’t do on network television, such as having a white female lead with a mixed-race black child unless said child is adopted. As typical, this information is exchanged through an irritating conversation between Ward’s character Jo and Mac Taylor, played by Gary Sinise, in which the character of Mac waxes on about how Jo “saved” this girl, blah blah blah. There was a lot of cringe-inducing language regarding Jo’s adoption of Ellie. Here is a clip of Sela Ward talking about the adoption theme. I didn’t realize that Sela Ward started an “orphanage” in her home state of Mississippi, the Hope Village for Children. They show a clip of an upcoming episode on this video that reveals that “Jo” basically put her daughter’s mother in jail and “rescued” her from becoming a foster child through the CPS system (episode 18). Another clip here. I’m very excited to announce that I have a chapter in this new anthology, “Parenting as Adoptees” edited by Adam Chau and Kevin Ost-Vollmers. This book is now available through Amazon as an electronic book and will be printed in book form in the next few months. The fifteen authors include fourteen parents who were adopted as children, and one chapter was co-written by an adoptee and her daughter. The editors are also both adoptees who are parents, and the illustrator, Kelly J. Brownlee, is an adoptee. My chapter is titled : Breaking the Silence: Teaching My Children to Talk About Race and Racism. More reviews are available here. 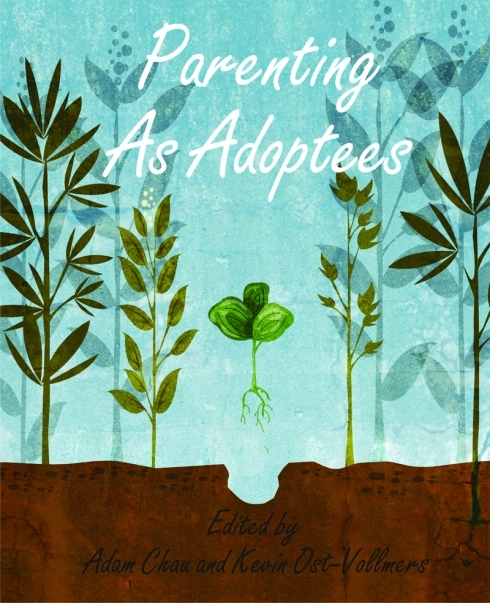 You can read an excerpt of my chapter (and two others) on the Parenting as Adoptees website. On Friday, July 13, 2012, I was invited to be a guest on MPR’s Daily Circuit Roundtable show. The show was a response to a broadcast earlier that week that focused on the trend toward fewer international adoptions that have been occurring since 2004, when international adoptions to the U.S. peaked at over 22,000. The original show focused tightly on the business side of international adoptions spurred by the recent news that Children’s Home Society and Family Services, Minnesota’s longest-running adoption agency, had merged with Lutheran Social Services in large part due to the loss of millions of dollars in revenue over the past few years because of declining numbers of international adoptions. Both the StarTribune and Daily Planet as well as MPR covered the merger and in doing so framed the issue as a matter of supply and demand. Had CHSFS and LSS merely been two businesses and “adoptable children” been replaced by “widgets” I am sure no one would have given this story much notice. However, two things happened that led to this story getting a LOT of notice. Even when the guests, representatives from LSS and CHSFS, Dr. Dana Johnson from the International Adoption Clinic at the U of MN, and an adoptive parent, stated there were good reasons behind some of this decline in number of international adoptions, the continued use of “chicken little” rhetoric (i.e. the sky is falling!) sets the paradigm so strongly in one way that to see it any other way is framed as bad. Deeper discussions into the reasons why declining numbers of international adoptions may be a good thing were not really given space, even as the guest speakers attempted to do so. I see this as an issue with the way the media understands and reports on adoption. 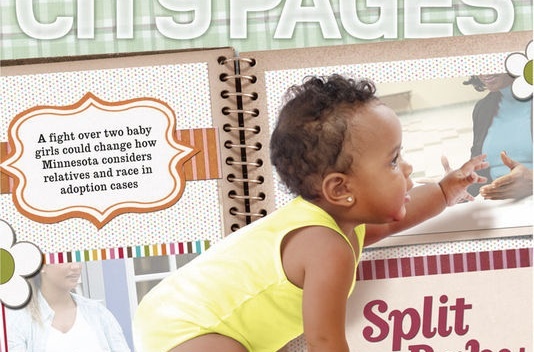 Clearly there needs to be more nuanced discussions about adoption in the media. There is a precedent for thoughtful reporting on adoption by public radio outlets – a few years ago Sasha Aslanian produced a wonderful, deeply thought provoking and nuanced series about adoption in her piece, “Finding Home: 50 years of international adoption.” Ms. Aslanian sits only a few feet away from the producers and reporter at the local MPR station and could have been one resource on accurate reporting on adoption. Happy new years to everyone. It’s a good thing I didn’t “resolve” to blog more frequently as that would have been one resolution (like many others) that would have been broken right from the start! To gently ease back into blogging, I’ll begin by sharing an article about transracial adoption and racial identity by journalist Hope Rurik, who interviewed me in December for this article, Research, experts say racial identity important after adoption. JaeRan Kim, who was adopted from South Korea at age 3, said culture camps, cultural festivals and even restaurant outings all became popular after her generation of adoptees, which includes Trenka, had grown. She said giving children the tools they need to grow into an adult of color in the U.S. requires more than a restaurant visit. She said the wide disconnect from language and culture often makes it more difficult for intercountry transracial adoptees to connect with ethnic communities in the U.S. than it is for American transracial adoptees. I’m pleased to announce that I’ll be participating in a community forum panel about the concept of destiny in adoption. 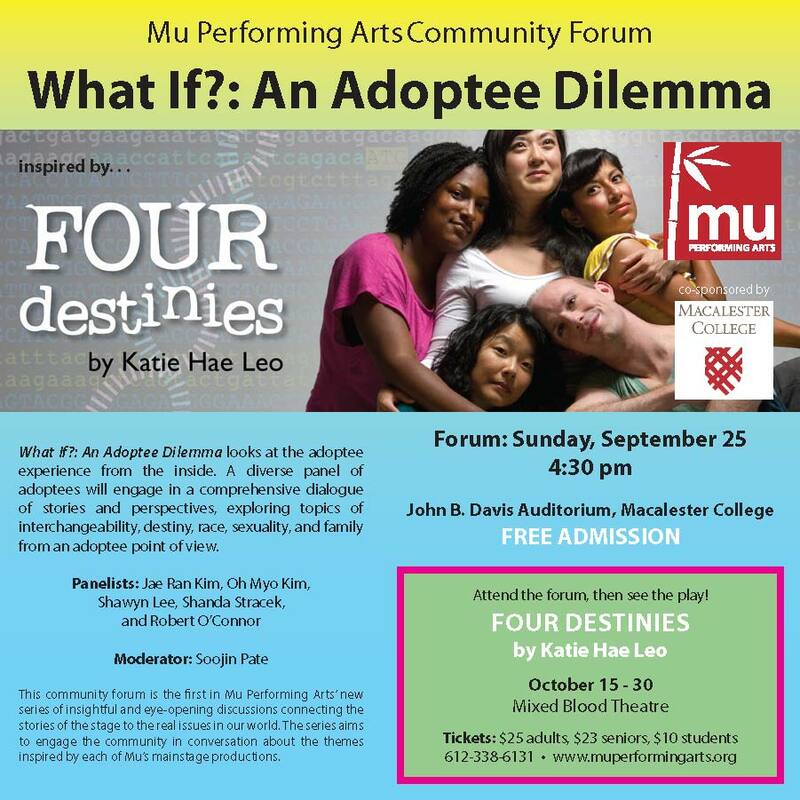 The community forum event is free, please visit Theater Mu for more information about the play, Four Destinies by Katie Hae Leo. This afternoon, a children’s novel I ordered online arrived in my mailbox and a few short hours later I had devoured the book. 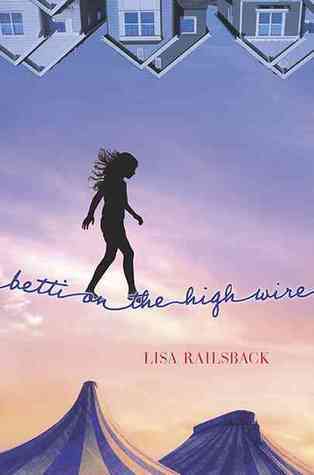 Betti on the High Wire is the story of a young girl, Babo, living in an unnamed country devastated by war. Babo finds herself unexpectedly adopted by Americans (or “melons” as Babo refers to them because of their round, pink faces) and soon she is living in an unnamed town in the U.S. with a new name, new sister, new parents – and she vows to never “adapt” or forget where she came from. Author Lisa Railsback was inspired to write the story from her work volunteering in a refugee camp. As a Korean adoptee, I am often skeptical about how international adoption is portrayed in novels, particularly the feelings and thoughts of the internationally adopted child themselves. Often I find children’s books about international adoption to be largely about making adoptive parents feel better as much as they may be outwardly intended to reassure the internationally adopted child. Babo/Betti is a complex child and I found Railsback’s conception of what Babo/Betti thinks and feels about her experience being adopted by Americans, and having to leave everything she has known and loved in her country – especially her chosen family there – to be the most realistic and complex portrayal that I have read. Adoption books for children being what they are – that is typically all nicely resolved in the end, this book doesn’t exactly challenge the dominant narrative about adoption. The unnamed country is, after all, portrayed in pretty stark terms, providing exactly the American-style justification for taking Babo away. Babo and the other children of course must be dirty, mostly illiterate, scavenging for food, etc., yet remain likable (i.e. not prone towards Reactive Attachment Disorder). And while Railsback does critique the consumerist, materialist and consumptive patterns of Americans to some extent, as well as portray how mean white American children can be towards children who are different, it is unlikely that a real internationally adopted child of this age would adapt as quickly as Betti does in the book. While the choice to make Babo able to speak some English helps the reader, it is pretty unrealistic in my opinion and serves more as a device to move the character through the story plot more quickly than it is realistic for most older, internationally adopted children (such as the little girl adopted in the movie Wo Ai Ni Mommy, who would have been close to Babo’s age in the story). Even so, I recommend this book for its most nuanced portrayal of an internationally adopted child’s inner thoughts and feelings that I’ve read so far. If I were an adoption agency, I would require all prospective adoptive parents to read this book before any child adopted internationally was placed in their home.